A burning railway bogie on the narrow gauge between Pratap Nagar and Dabhoi railway line in Vadodara on Sunday morning had many people watching from their rooftops nearby. The burning bogie was part of a film shoot to re-create the attack on S6 coach of the Sabarmati Express on February 27, 2002, in which 59 passengers, mainly kar sewaks returning from Ayodhya, were killed, which set off riots across Gujarat. 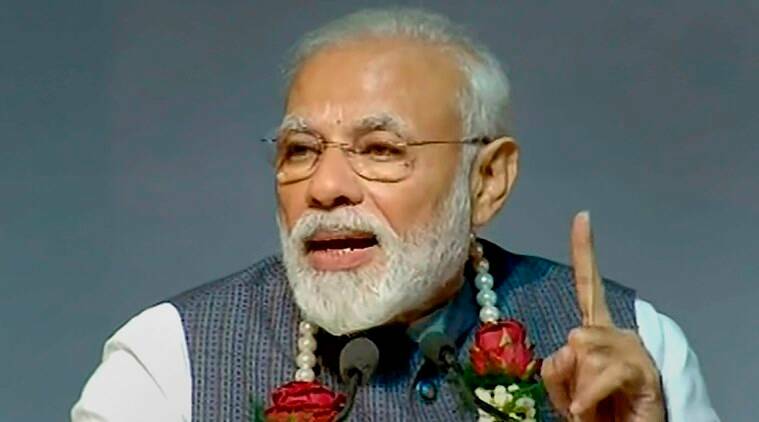 The Indian Express has learnt that the Western Railways and the Vadodara fire department had given permission to shoot the film, which, according to an executive of the production company, “captures the life of Prime Minister Narendra Modi.” It is slated for a social media release ahead of the 2019 elections. When contacted, Vadodara BJP MP and city unit president, Ranjan Bhatt, said, “We have no information that such a documentary has been commissioned by the party leaders or that it is being shot in Vadodara,” he said. Western Railway CPRO Ravindra Bhakar told The Indian Express that the script the film’s production company showed his office did not mention “Godhra”. “It has been a week or so since the permission was granted and as far as I know, they wanted to shoot something recreating the Prime Minister selling tea on railway platforms. We go through the script and as a policy, do not permit anything that harms the image of Railways and the country. If they have set fire to a rolling stock or damaged railway property, then we can claim their deposit, claim insurance etc. We make them sign indemnity bond as well,” he said. Divisional Railway Manager of Vadodara Devendra Kumar said that he would have the incident investigated to check if the production company violated any permissions.